AANM’s Global Fridays series and the Detroit Institute of Arts’ Friday Night Live will unite for the first time with the National Arab Orchestra (NAO) for the world premiere of an original score written by NAO founder/director Michael Ibrahim. 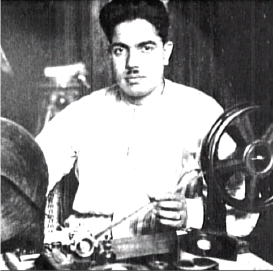 Taking place at the DIA, this performance by the NAO Takht Ensemble will be paired live with screenings of rarely-seen silent films from the 1920s and 1930s by pioneering Egyptian director Mohammed Bayoumi. This FREE event will include a discussion by Egyptian history and film scholar Mohannad Ghawanmeh. A National Performance Network (NPN)* Creation Fund Project co-commissioned by AANM, the City of Chicago and NPN, in partnership with the National Arab Orchestra, with additional support from Detroit Institute of Arts.